Premium recycled office furniture can be a great investment for your business in or around the Mississauga, Ontario, region. Oftentimes, you can furnish your office space with beautiful, gently used and refurbished pieces at a fraction of a cost the items would be brand new. This means that your workspace can look trendy and sophisticated without breaking your budget. 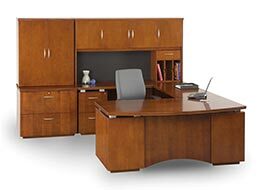 For top-of-the-line recycled office furniture in and around Mississauga, ON, turn to the experts at Reusable Office Interiors. We can provide you with all of the recycled furnishings you need, including cubicles/workstations, desks, conference tables, executive furniture, lounge furniture, and more. When you turn to us for your furniture needs, you will be able to furnish your workspace with pieces from top manufacturers like Haworth, Herman Miller, Teknion, Steelcase, and Knoll, all while staying within your budget. We also can handle all of the furniture deliveries and installations for you, so that you don’t have to worry about doing any of the heaving lifting. Our specialists can even help you with space planning and office interior design, as well as manage your renovation project from start to finish. That’s not all though, we can additionally provide you with expert liquidation and recycling services. To learn more about the recycled office furniture we offer, contact Reusable Office Interiors today. One of our knowledgeable and friendly associates is available to answer any questions you have and can tell you more about all of the outstanding products and services we have available for homeowners in the Mississauga, ON, area.